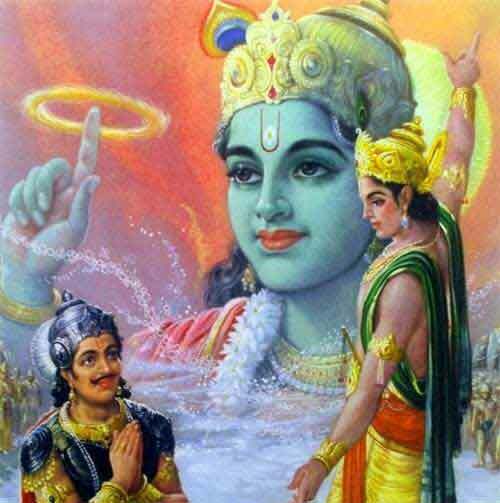 Wars in ancient Hinduism were waged in accordance with prescribed rules and such wars were referred as Dharma Yuddha – “righteous war.” The prime example of Dharma Yuddha is the one between Bhagvan Shri Ram and Demon King Ravana in the Ramayana. Although the Mahabharata war is referred to as Dharma Yudha – the rules were broken by both the Pandavas and Kauravas in the Kurukshetra during the 18-day war. Women, sages and innocent people should not be attacked. A fight with arrows and missiles should be reciprocated with the same. A swordsman should only fight only a swordsman. In the fight between two warriors, no third person should interfere. Those sitting on horses and elephants should only fight those that are sitting on horses and elephants. One on chariot should only fight those on chariot. An unarmed man should not be attacked with a weapon. There should be no fighting after sunset. Prisoners of war should not be ill treated.